​FEEL FREE TO CONTACT MR. BECKER OR MRS. BURRI WITH ANY QUESTIONS! "ON TOUR 2019" Memphis, TN INFORMATION! Below is Information Regarding Instrument Rental Through Quinlan & Fabish for all interested students and families. Beginning Band Rehearsals take place EVERY Tuesday & Thursday from 7 a.m. - 8 a.m. Beginning Band students are expected to practice and pass off tetrachords as they progress through the performance year. Beginning Band members should arrive at MJHS NO LATER than 6:45 a.m. to prepare for rehearsal. Cadet Band members should arrive at MJHS NO LATER than 6:45 a.m. to prepare for rehearsal. 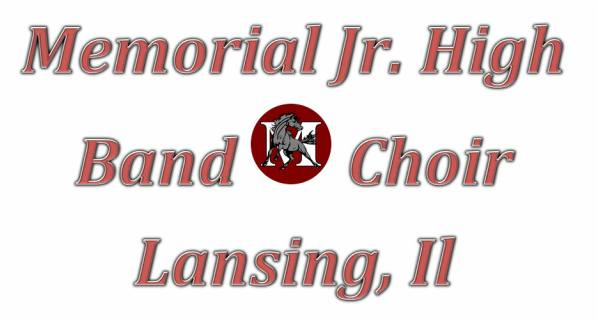 ALL CADET REHEARSALS will take place in the Memorial Junior High School Band room on Mondays and Wednesdays from 7:00 a.m. to 8:00 a.m.
and Being late is UNACCEPTABLE"
Please contact Mr. Becker with ANY questions you may have about any of the upcoming events! Please make sure to download and PRINT the Music Department calendar for your own personal reference. Students are expected to be at all rehearsals and performances for their designated performing ensemble. Thank you and please email your director with any questions!! PRIVATE LESSONS - AVAILABLE TO EVERYONE!! Please click on the link for the informational handout! MUSIC & SUCCESS IN SCHOOL!!! 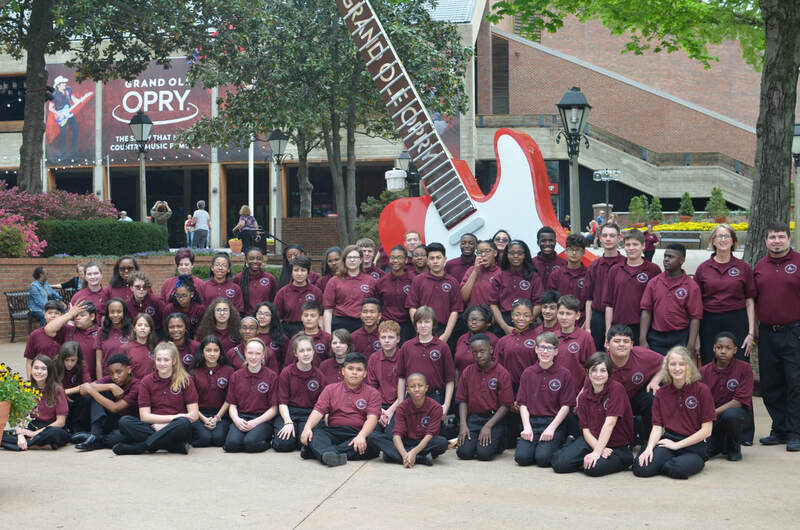 Congratulations to the MJHS Band & Choir, on their WONDERFUL performances in Nashville, TN this past April! What an AWESOME TRIP! The students represented Memorial Junior High School, District 158, and Lansing, Illinois VERY WELL! Pictures are slowly being uploaded so everyone can relive the magic of the "On Tour 2017" Nashville, Tennessee Trip! A special shout out to the chaperones, equipment personnel, and our wonderful nurse who helped make this a safe, exciting, and very memorable trip!! 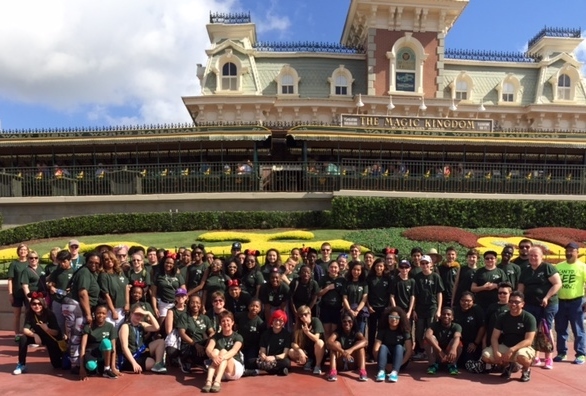 Congratulations to the MJHS Band & Choir, and Mustang Marching Band on their WONDERFUL performances in clinics at the Orlando, Florida Walt Disney World Resorts, as well as their AMAZING Marching Band Performance through the Epcot Center! What a FANTASTIC TRIP! The students represented Memorial Junior High School, District 158, and Lansing, Illinois VERY WELL! Pictures are slowly being uploaded so everyone can relive the magic of the "On Tour 2015" Orlando, Florida Trip! Congratulations on ALL the WONDERFUL performances by the Concert Band, Jazz Band, Concert Choir, and Marching Band at the "Music In The Parks" National Music Festival, held on May 9th & 10th, 2014 in Gurnee, Il. Cadet Band rehearsal every Monday and Wednesday during school week from 7:00- 8:00 a.m.
Beginning Band rehearsal every Tuesday and Thursday during school week from 7:00-8:00 a.m.
Jazz Band rehearsal every Monday and Wednesday from 3:30-4:30 and Friday from 7:00-8:00 a.m. Private lessons are the most important lesson of the week. Please check in with your private lesson teacher for any upcoming changes in the schedule.